Wed, 26 Nov 2014 at 11:53 p.m. Message: What unbelievable crap from Lyn Provost, given her office (OAG) has brushed aside so many public complaints and concerns about Council expenditure that may have prevented the situation she now chooses to alert us all to !!!! Ratepayers are facing a $7 billion bill to replace crumbling roads and water pipes caused, in part, by the “worry about it later” attitude of councils. A report released yesterday by Auditor-General Lyn Provost found councils nationwide have been failing to put enough money aside to maintain their collective $100b of infrastructure assets. The gap between funds needed and reality is tipped to reach $6b to $7b by 2020. Much of the country’s infrastructure was built in two waves, from 1910-30 and 1950-86, and many assets would reach the end of their lives at the same time, the report warned. Keeping rates bills down to maintain political popularity was one reason assets were underfunded, and a “worry about it later” mentality also existed, the report stated. […] Local Government NZ president Lawrence Yule said a $7b shortfall was significant, but it was too early for ratepayers to be pressing the panic button. It was not yet clear how accurate the auditor-general’s findings were, he said. 15.7.14 Stadium: Who is being protected? For more, enter the terms *dcc*, *dchl*, *dvml*, *citifleet*, *stadium*, *carisbrook*, *delta* in the search box at right. Tuesday, 11 February 2014 8:11 p.m.
Why do Property Developers hate development contributions? “Lately Developers and Councils have been busy preparing submissions on the proposed changes to the Local Government Act relating to development contributions. There are many issues. Firstly, the issue with charging developers for improvements that have nothing to do with growth. When developing up capital works and budgeting the Annual Plan councils develop formula and apportion some of the costs to ‘growth’ – which is then charged to developers. Councils argue that as cities grow and intensify – the costs of that growth include replacing or improving infrastructure. Hence they want new developments to pay for it. Developers take issue however with the amount of money required from them to pay for the infrastructure improvements not that they have to pay for their share of growth. As such the argument is about whether the right pro-rata apportionment is applied. Obfuscating the debate is that all Councils must replace infrastructure as it ages and is due for replacement. Additionally, most Councils are in recent times adopting new development standards that increase the capacity of assets and they improve assets as technology advances. Development contributions are charges paid by property developers to meet the increased demand for infrastructure resulting from growth. The Council is proposing some significant changes to its Development Contributions Policy. In April 2011, the Council released a Statement of Proposal to adopt a Draft Revised Development Contributions Policy (the Draft Policy). The proposal included a schedule of charges which could apply if the Draft Policy was adopted. Submissions on the Draft Policy closed in July 2011 and were followed by hearings in November 2011. After beginning its deliberations the Hearings Committee decided that more information was required from Council staff before the Draft Policy could be considered further. Deliberations started again in December 2012 with Council staff reporting back to the Committee on the information it requested. The Committee has yet to conclude its deliberations. ‘Dunedin Towards 2050′ (The Spatial Plan), sets the strategic direction for Dunedin’s growth and development for the next 30+ years. It outlines a broad set of principles, strategic directions, policies, and actions and visually illustrates how the city may develop in the future. It will be used to guide land-use planning in the city as well as influencing how future infrastructure and services may be provided or limited. The Spatial Plan is primarily, but not solely, concerned with Dunedin’s urban form and design. Urban form and design refer to the spatial arrangement of a city, in other words, the shape of a city as seen from the air including the overall pattern of development, activities, and infrastructure as well as the design or ‘look and feel’ of the city and how it functions. Urban form and design have a significant impact on the sustainability, liveability and economic performance of cities. The Dunedin City District Plan controls what people can do on their land and how it can be developed. While there have been some changes and new zones added (eg the Stadium, Airport and Harbourside zones), most of the current Plan has not been reviewed since 2006 and a lot of it dates back to the 1990s. The council is reviewing the Plan as a whole to fix the parts that are not clear or working properly, to recognise the changes to land use and development within Dunedin, to discourage poor development and to align with changes in national policy guidance. The review will produce a second generation plan (2GP), which is the second plan prepared under the Resource Management Act 1991. This is a long process with a lot of research and analysis, and input from stakeholders and the community. On the local . . . Meanwhile, developers across the Taieri are champing at the bit to re-create ‘Wanaka sprawl’ on the flood plain with little regard for the protection of high class soils —despite the objectives of the spatial plan that places wise emphasis on the rural area becoming the city’s food basket (resilience). Mosgiel, Middlemarch and the wider Taieri area will benefit from a new marketing approach by the Dunedin City Council, chief executive Sue Bidrose says. The establishment of an in-house marketing agency at the council, replacing Tourism Dunedin, would offer ”more bang for buck”, she said. The agency would use existing council staff, such as those in human resources and finance, and run alongside the council’s economic development unit. ● Trail trust awaits talks outcome The group behind a project aiming to provide a cycle link between Mosgiel and Dunedin is awaiting the result of crucial land negotiations. ● Crematorium not yet begun Hope and Sons is yet to begin construction of its new Mosgiel crematorium, but hopes to have it operating this year. Managing director Michael Hope said it was still working on gaining building consent. 4.2.14 DCC: Mosgiel Pool, closed-door parallels with stadium project . . . The University of Otago is the first university in New Zealand to sponsor a super rugby franchise. The partners will exploit co-marketing initiatives and the Highlanders will be expected to participate in more university activities. The University logo will be painted on the stadium “grass” and added to the back of players’ jerseys alongside the Speight’s logo. Does anyone realise Thugby is a dying art. YAWN. The University of Otago has become one of the major sponsors of the Dunedin-based Highlanders rugby team. Vice-Chancellor Professor Harlene Hayne said the move is designed to raise the university’s profile. “[Forsyth Barr] Stadium and the Highlanders will be a canvas to highlight the University of Otago, which is located literally on the doorstep of this world-class facility,” she says. “Rugby is not just a game on a Saturday night – it’s a business as well. The University of Otago has become the first university in New Zealand to sign on as a major sponsor of a Super Rugby franchise. The deal between the university and the Highlanders was announced at Forsyth Barr Stadium this afternoon. Many of the Highlanders staff and players have studied at Otago, and both organisations feel the partnership will be beneficial. It’s easier to get a training pool for Professional Rugby built at Mosgiel (under the guise of it being a community pool) than it would be to have DCC ratepayers and general public get behind a pool at the Stadium/Logan Park, as mooted a few years back to go with the High Performance Sport New Zealand Dunedin Centre… the latter was foisted on Dunedin ratepayers with little if any consultation. A multimillion-dollar Dunedin sports excellence academy could be a factory for future world champions. The High Performance Sport New Zealand Dunedin Centre of Excellence was officially opened at Forsyth Barr Stadium yesterday. The $4.8 million building will be a hub for Otago athletes and house HPSNZ and its tenants – the Highlanders, Sports Medicine New Zealand and New Zealand Turf – which formerly occupied the old Logan Park art gallery building. 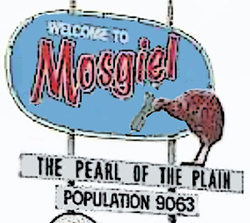 This NEW POOL project also “benefits” the likes of Martin Dillon and Co at Mosgiel because it will be built in the main street and attract more business to the shopping centre, and be a selling point (amenity!) for housing subdivisions in the area [forget noble district plan and spatial plan objectives to protect high class soils, said local developers]. KILLING many birds with one stone. THE NEW POOL IS PROFESSIONAL RUGBY DRIVEN. That is why it’s steaming ahead under the radar. CORRECTION: The thing is worth maybe $16 million AND MORE —definitely expensive enough for exclusive swim time booked for UNIVERSITY-RUGBY, all funded by the poor Mosgiel-Taieri ratepayers !!!!!! The rorting RUGBY bastards. Imagine a (prestige) car firm will sponsor the RUGBY 4WDs and peoplemovers, on that new hot highway from DUD to MSG. 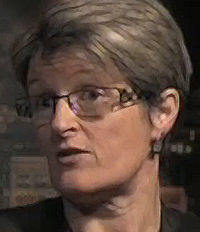 CAN CITIZENS TRUST DUNEDIN CITY COUNCIL ??? The Dunedin City Council faces a “pretty major” decision when plans for the management of the city’s $1.6 billion water network are finally revealed, Cr Andrew Noone says. Cr Noone is the chairman of a council working party that has – since January last year – been scrutinising alternative proposals for the future of the network. Options included the creation of a council-controlled organisation (CCO) to manage the network, as well as a bid late last year by another council company, Delta, to provide the council’s water services instead.